TAIPEI â" Taiwanâs rail authority said Monday that the Japanese manufacturer of a train that derailed tw o weeks ago, killing 18 people, has agreed to fix a problem that is at least partially blamed for the crash. The Taiwan Railways Administration said in a statement that since the accident on Oct. 21, it has asked Nippon Sharyo Ltd. to fix the problem and finally received an affirmative response. âIt has agreed to immediately fix the wiring problem and follow up with testing,â it said. Nippon Sharyo has said that its investigation into the accident had discovered a flaw in the blueprint for the wiring connecting the trainâs automatic train protection safety system to the control station. The company said that the flawed blueprint was used in 19 train sets sold to Taiwan, including the one that derailed. However, it said there is no problem with the safety system itself, which is designed to automatically apply the brakes when the train exceeds the speed limit. The train was traveling at over 145 kilometers per hour at the time of the acciden t. The speed limit was 130 kph. Its driver told investigators that before the derailment, he switched off the safety to boost the trainâs power. Local media reported that the driver knew he should turn the system back on but failed to do so because he was busy communicating with other coordinators about another speed-related problem. 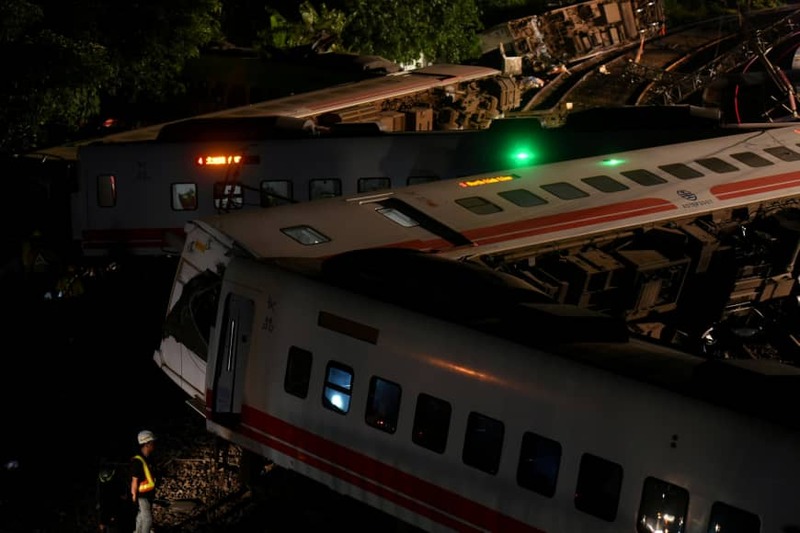 Investigators said that the safety system was switched off about one hour before the derailment. Taiwanâs rail authority Monday declined to comment on whether it will seek compensation from the manufacturer, only saying that it will proceed according to the contract.